Well, I always knew this day would come, just not so soon. 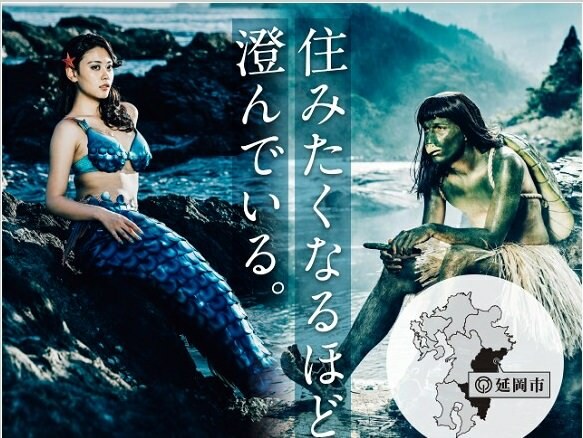 A kappa and a mermaid have moved into Miyazaki. They're finally opening up about their existence. I told you! Okay jokes aside, this is really the way Nobeoka in Miyazaki prefecture has decided to advertise their city. A video series of highlighting Nobeoka's best qualities to get the Kappa and Mermaid, and maybe a few tourists, to stay in Nobeoka.